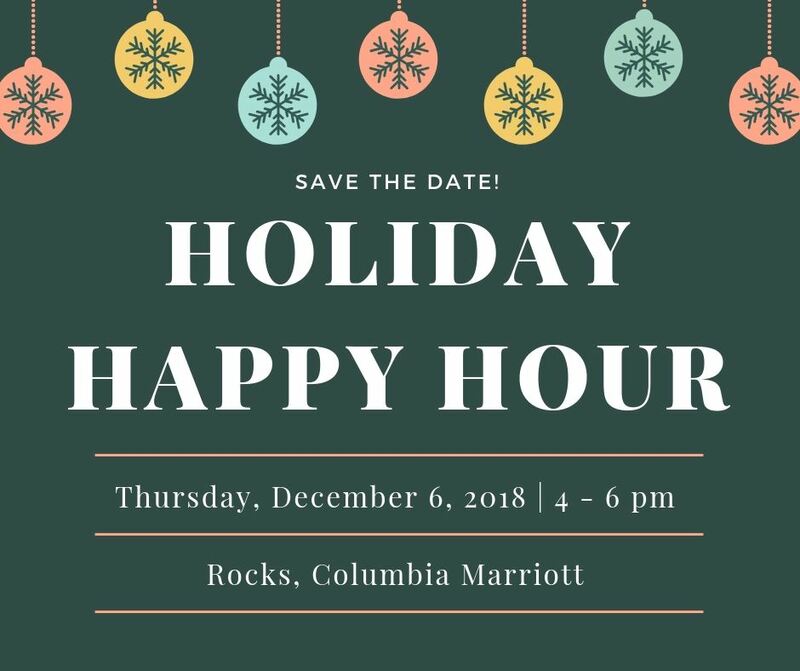 Join us for a Holiday Happy Hour on December 6th. Guests will enjoy appetizers, two complimentary drinks and mingling at the Rocks at the Columbia Marriott. Following the happy hour, continue the mingle and jingle at First Thursday on Main.